We’re happy to celebrate the closing of another beautiful home in Monument, Colorado! We just welcomed home the Brown Family to their new home in the Woodmoor development, a lovely area that is green and full of trees. 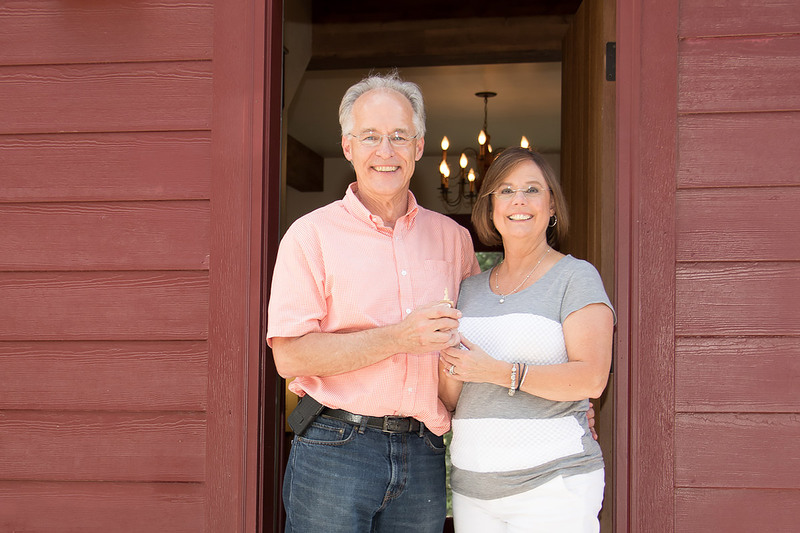 Our “Key Ceremonies” are one of our favorite parts of building a home: we pop some champagne, order some dinner, and celebrate the completion of the project. This home was different than most that we build: it was designed with a Cape Cod architectural design, with a “Saltbox” style (for more information on the Saltbox style, click here). Stauffer & Sons is eager to explore new designs and home styles, and though this was our first Cape Cod home in the mountains of Colorado, we found it an enjoyable project. We wish the Browns many wonderful years in their new home, and we look forward to many more celebrations as we continue to build new homes in the Monument area.